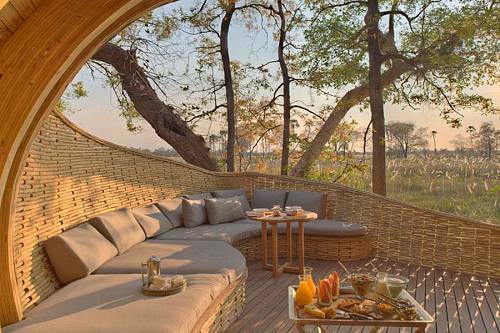 Tongabezi Lodge offers unique, luxury accommodations within sight of the famous Victoria Falls. Tongabezi combines romance and exclusivity with warm and attentive service. Each house and cottage has its own valet who takes care of guests throughout their stay and acts as a private concierge. Victoria Falls is the place to go for outdoor adventures, including whitewater rafting, bungee jumping, safaris, helicopter or microlight flights, and more. Valid for travel Jan 2019 – June 2019 and October 2019 – December 2019.